Aromatherapy Massage oil combines the benefits of massage therapy and aromatherapy. Essential oils are aromatic essence extracted from plants or a part of the plant and have the inherent healing property same as that of the plant. A few popular ways for making use of aromatherapy in your day to day life are massage, incense, aromatherapy baths, ingestion, inhalation and many more. Amongst all of these, one of the most soothing ways is a massage with the right aromatherapy massage oil. The use of aromatherapy oil for therapeutic purposes dates to some 4000 years. It was used by Chinese as a healing therapy. This mode of healing is beneficial for the overall body in general and affects some areas in particular. It has special healing affect on the circulatory system, musculoskeletal, nervous and lymphatic systems. For any sort of benefit, the right technique and the right oil or the correct blend of essential oil is a must. An aromatherapy massage can benefit you only if you choose the right aromatherapy massage oil. There are so many oils, each with a unique property and smell that picking the right massage oil can be a tough and confusing task. Each aromatherapy massage oil is made from a specific plant extract which stimulates a set of senses in your brain which in turn stimulates relaxation and healing. When the massage oil is applied on the skin, it penetrates and reaches the muscles through the pores, thus, soothing and relaxing them. Without in depth and detailed knowledge it is not possible to choose the right aromatherapy massage oil, which is suited to your requirements. In the absence of the right kind of knowledge, the best alternative is to seek advice from somebody who is well versed in this field. A good option can be seeking advice from a person working in a specialty aromatherapy store or you can educate yourself online. A massage therapist can also supply you with the right information. However, remember not to miss out on any information about some oils being harmful for sensitive skin and certain conditions (pregnancy, high blood pressure, cardiac patients). A consultation with the therapist will help you decide on the right oil or the right blend of oils. The therapist must be told about the allergies and your specific requirements. Essential oils are blended with carrier oil and are used for aromatherapy massage. If every time, you cannot afford a therapist then you can do it at home also, provided you are able to figure out the right blend to be used. 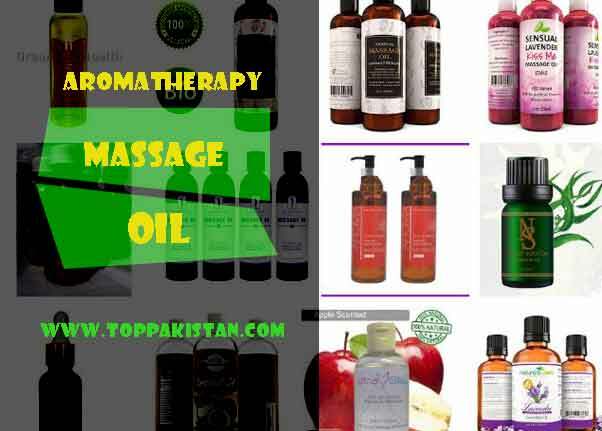 Aromatherapy massage oil should be used only for massages and experimenting is not advisable without proper information. Massage with aromatherapy oil is extremely sensitive and should be done properly to ensure healing is done the right way. It takes a professional to bring out the best in aromatherapy massage. In case you are interested, you can learn the right way for an aromatherapy massage after which you can do it yourself at home .The reason which makes it better to get a massage from a therapist is that you are absolved from the worry of choosing the right aromatherapy massage oil or the right blend as the therapist will do so him/herself. Blend all the oils in a dark glass bottle with a dropper and swirl to mix. This can be then applied to the sore muscle area and massaged well into the skin. If you feel that the blend is strong then you can reduce a drop in each of the essential oils. Though any carrier oil can be used but Jojoba oil has a faster absorbency. Black Pepper oil is also effective against muscle pain.